At this point, you must surely be aware that a number of Star Wars fans—a small number, according to Rian Johnson—are just inconsolably angry over The Last Jedi’s supposed sins against the sanctity of Star Wars. Some don’t like that it’s occasionally very silly, some don’t like that it quickly brushed aside a supreme villain even though he was really boring, and people don’t like that it rejected their fan theories about Rey’s parents in favor of a reveal with a bit more thematic depth and power. 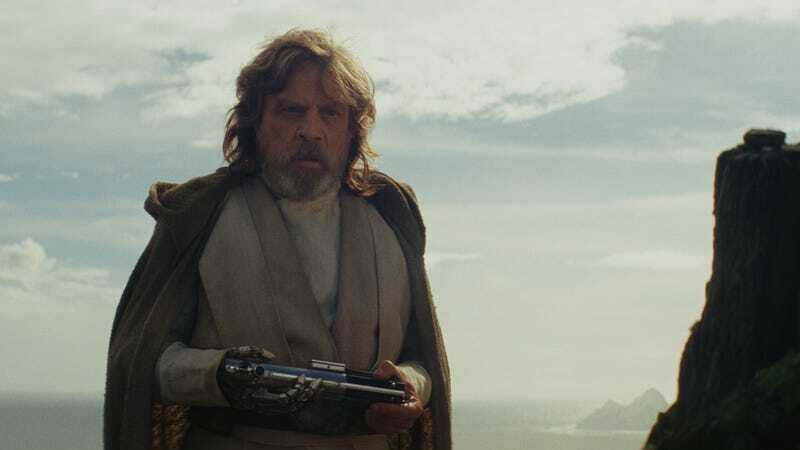 Most of all though, the movie’s vitriolic haters didn’t like the fact that The Last Jedi killed off Luke Skywalker, the ostensible main character of the series even though he’s barely in half of the movies. One such hater is Henry Walsh, a man who was so upset by Luke’s decision to give his life to save his friends and repair the tarnished Jedi legacy that he started a petition asking Disney to jettison The Last Jedi from the Star Wars canon. After all, as he explains, Disney did erase the entirety of the old expanded universe, so it’s not too crazy to ask the studio to delay Episode IX and ask for a mulligan on the movie that just made $220 million last weekend. Like a lot of fan petitions that seem willfully ignorant of how the movie business works, this one got a lot of support from angry people who wanted to lash out without having to resort to personally insulting people on social media (yet). Then, much like Kylo Ren quickly slicing Snoke in half, an unexpected twist popped up: Walsh, having since felt the cold grip of reality, realized his petition was kind of pointless. In an update, he explained that he had been in a bad car accident last year and was on strong pain medication when he posted the petition. He knows that Disney will never cut The Last Jedi from the canon, and though he still didn’t like the movie, he thinks disappointed fans would be better served looking for a more meaningful petition to support. Then, much like Admiral Holdo turning out to be a good guy, a much more predictable twist popped up: People got pissed. In a second update, Walsh said that some people interpreted his previous post as a criticism of everyone who had signed the petition, with some apparently going so far as to threaten him and accuse him of being bought off by Disney—because Bob Iger is just shaking in his Mickey Mouse ears about this whole thing. Walsh explained that nobody should be throwing around threats, no matter how they feel about him or the movie, and he suggested that people visit A Force For Change to channel their frustrations into something positive. That’s where things seem to have ended for now, but much like the implication of the empty Jedi robes Luke left behind, it seems safe to assume that the ghost of this petition story will someday arrive just when we need it the most.